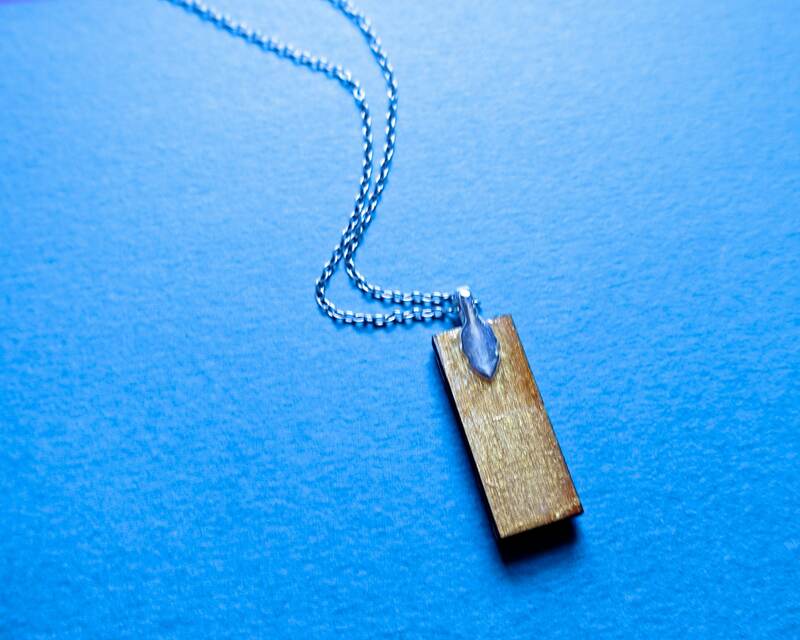 Please note that the bail (the metal loop that connects the pendant to the chain) is NOT sterling silver. 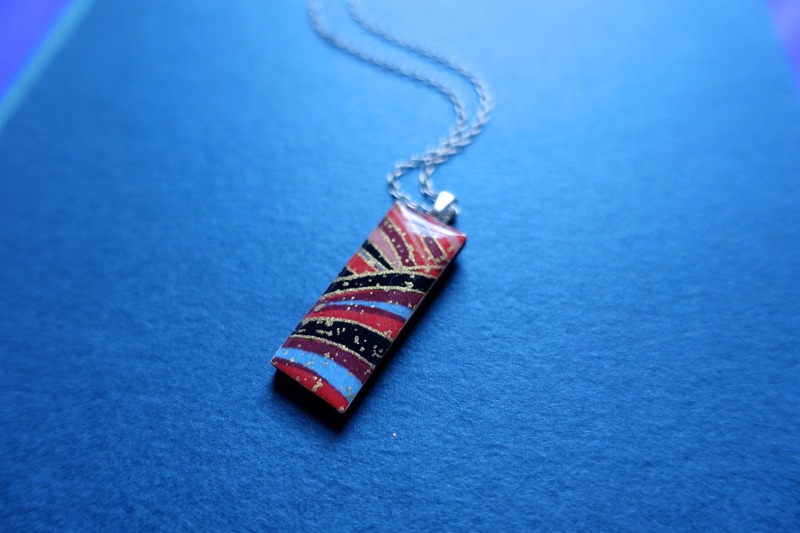 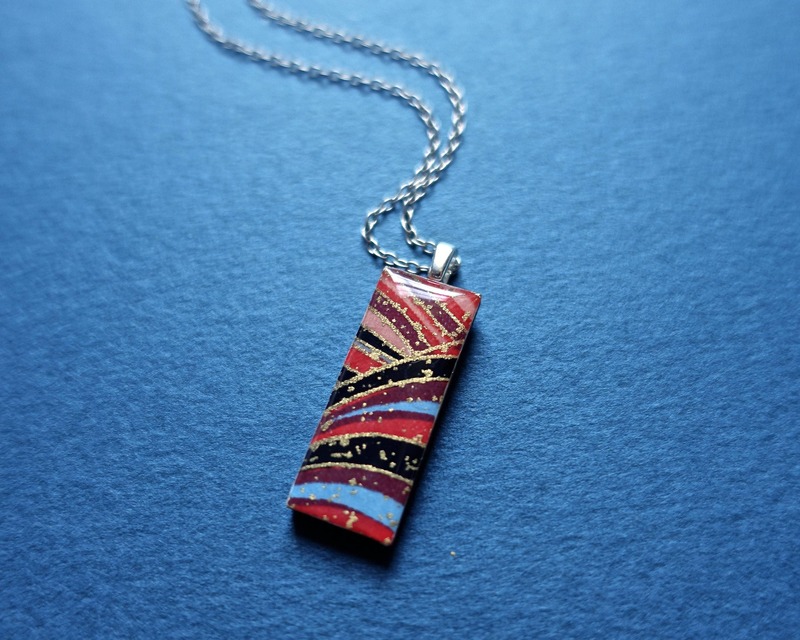 The pendant is made from paper and wood, and painted gold on the back. 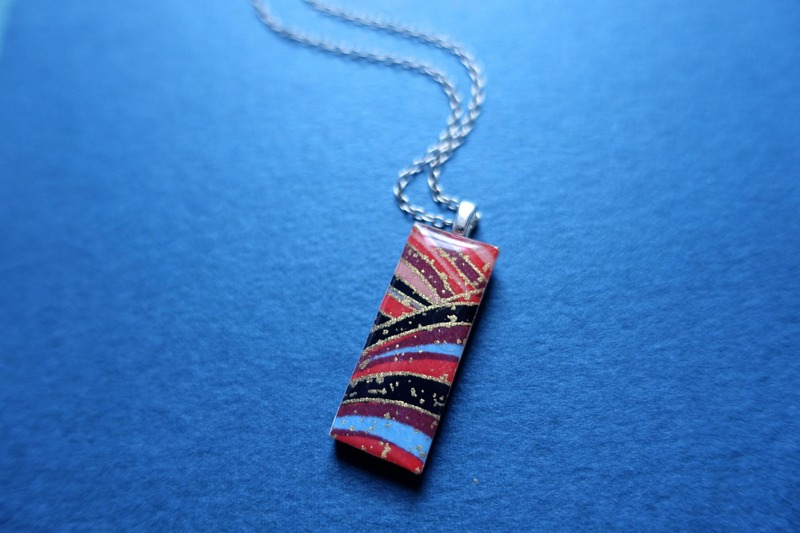 The pendant is coated in resin for water-resistance.